The Choice opening line: I didn’t know about the loaded gun hidden under his shirt, but the instant Captain Jason Fuller walked into my El Paso office on a summer day in 1980, my gut tightened and the back of my neck stung. I call to her across the years, to ask her forgiveness. That is what I have returned to Auschwitz to receive, I think. To hear her tell me I did the best with what I knew. That I made the right choice. In my mind, the first choice Edie makes at 16 is the one that will shape her life forever. Edie is asked by Josef Mengele whether the woman next to her is her sister or mother. Will she ever know if her answer decided the fate of one of the most important people in her life? From this true story of surviving the hell Hitler brought to the world, I have learnt that how we choose to see the world is how we choose to live in it. “Your eyes”, I tell my sister, “they’re so beautiful. I never noticed them when they were covered up by all that hair” It’s the first time I see that we have a choice: to pay attention to what we’ve lost or to pay attention to what we still have. For Edie, this comes not when she is pulled alive from a heap of dead bodies, together with her sister. It happens in 2010 when talking to an Army unit returning from combat in Afghanistan. I reminded myself that I was there to share the most important truth I know, the biggest prison is your own mind, and in your pocket you already hold the key: the willingness to take absolute responsibility for your own life; the willingness to risk; the willingness to release yourself from judgement and reclaim your innocence, accepting and loving yourself for who you really are – human, imperfect, and whole. A diagnosis is not a cure. To be aggressive is to decide for others. To be assertive is to decide for yourself. Just remember, no one can take away from you what you’ve put in your mind. I hear you say …. Tell me more. CHOICE – choosing Compassion, Humor, Optimism, Intuition, Curiosity and self-Expression. It’s important to assign blame to the perpetrators. If you can survive this, you can survive anything. When a child is grappling with anorexia, the identified patient is the child, but the real patient is the family. What am I doing now? Is it working? Is it bringing me closer to my goals, or further away? 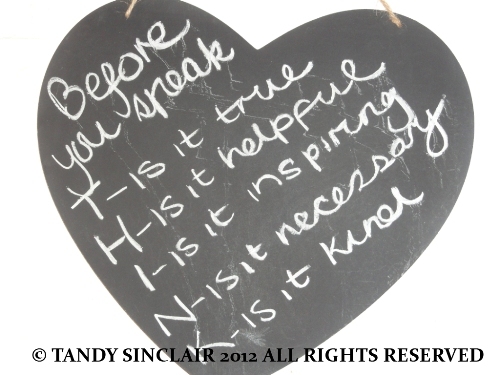 Before you say or do something, ask, Is it kind? Is it important? Does it help? The choice to accept myself as I am: human, imperfect. And the choice to be responsible for my own happiness. To stop asking why I deserved to survive. …do everything in my power to honor my parents to see to it that they did not die in vain. To be useful, to be used up, to survive and to thrive so I can use every moment to make the world a better place. And to finally, finally stop running from the past. To do everything possible to redeem it, and then let it go. I can make the choice that all of us can make. I can’t ever change the past. But there is a life I can save: It is mine. The one I am living right now, this precious moment. When we grieve, it’s not just over what happened – we grieve for what didn’t happen. You can’t heal what you can’t feel. This is the work of healing. You deny what hurts, what you fear. You avoid it at all costs. Then you find a way to welcome and embrace what you’re most afraid of. And then you can finally let it go. The hardest person to forgive is someone I’ve still to confront: myself. I can see that the past doesn’t taint the present, the present doesn’t diminish the past. Maybe to heal isn’t to erase the scar, or even to make the scar. To heal is to cherish the wound. Our painful experiences aren’t a liability – they’re a gift. As long as you live, there’s a risk that you might suffer more. There’s also the opportunity to find a way to suffer less, to choose happiness, which requires taking responsibility for yourself. What’s the worst that can happen? And can you survive it? Time doesn’t heal. It’s what you do with the time. Healing is possible when we choose to take responsibility, when we choose to take risks, and finally when we choose to release the wound, to let go of the past or the grief. We want our lives to make sense. But to ask why? is to stay in the past, to keep company with our guilt and regret. We can’t control other people and we can’t control the past. The eminent psychologist and Holocaust survivor guides us through a universal journey of redemption and healing, after her experiences in Auschwitz. Edith Eger was a gymnast and ballerina when she was sent to Auschwitz at the age of sixteen. There, she was made to dance for the infamous Josef Mengele. Her heroic actions helped her sister to survive, and her bunkmates to save her life, during a death march, after which she was found in a pile of bodies, barely alive. 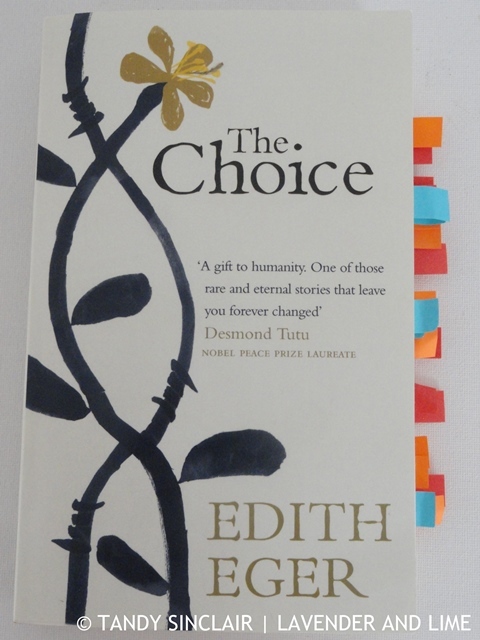 Edith recovered and moved to America, going on to become an eminent psychologist, and giving the keynote address at Viktor Frankl’s 90th birthday party. 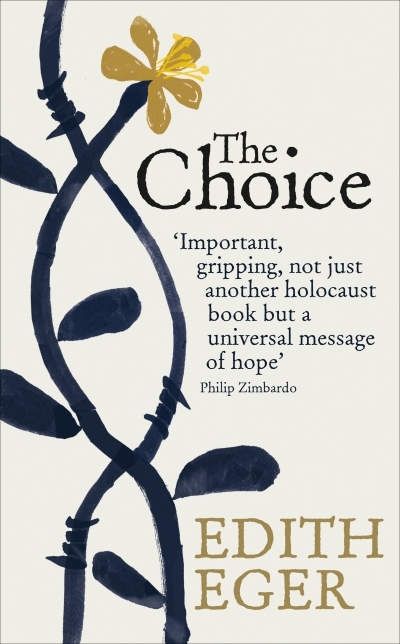 Like Frankl’s Man’s Search for Meaning, Dr Edith Eger’s important book, The Choice, could change your life. Eger shares stories of the Holocaust and the experiences of her clients, who range from survivors of abuse to soldiers suffering from PTSD. She explains how many of us live within a mind that has become a prison and shows how freedom becomes possible once we confront our suffering. Warm, wise and compassionate, The Choice offers profound insights into the nature of human suffering, and our capacity to heal. But I wasn’t a prisoner anymore. I could choose my own freedom. I could name my own feelings, of rage, worthlessness, sorrow, regret, I could let them swirl, let them rise and fall, let them pass. And I could risk letting go of the need to punish myself for having lived. I could release my guilt and reclaim my whole pure self. I like how you always include the first line of the book. That’s how I decide whether to buy a book or not. Oh my goodness I have to read this book, life changing!! Wow, Tandy, this is a very compelling book review. I am considering this book although I know it will make me very sad. Actually, there is so much joy in it.